Last Thursday, pupils from Year 11 joined staff and governors at Poltair School in order to find out their examination results. The atmosphere was busy, excitable and celebratory. For the fourth consecutive year, examination results at Poltair have set new records for the school. Commenting on the improved outcomes for pupils, Stephen Tong, Headteacher said, "We are delighted with the results achieved by pupils at Poltair School. 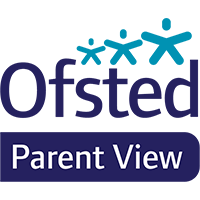 The rise in standards achieved across the school and the very many individual pupil success stories are due reward to the focus, attitude and commitment of the pupils in our school as well as the hard work put in by our staff to teach, guide and support them. We are proud of the pupils' achievements not least because it means that they can take on the future challenges of young adulthood, with some real tangible success, confidence in themselves and a belief that through hard work, achievement is always possible." Initial calculations indicate that 44% of pupils achieved the threshold of 5A*-C grades including English and Mathematics, a rise of 6% on the previous year. In addition, 63% of pupils secured 5A*-C grades, a rise of 7% on 2011. Examination results increased in all three core subjects (English, Mathematics and Science) to record breaking levels. In English, 66% of pupils secured an A*-C grade, an increase of 9% on the previous year. Commenting further, Stephen Tong observed that whilst "the standards achieved by pupils are very pleasing, the really remarkable stories lie in the progress pupils have made, given their starting points. For example in English we believe that in excess of 78% of pupils have made the expected progress from Year 7 to 11, a figure likely to be far in excess of national norms." There are many remarkable individual achievements deserving of mention, commendation and celebration. However the best examination results were secured by Maria Brett with 13 GCSE A*-C passes (including 11 A*/A grades), Stacie Marks with 16 GCSE A*-C passes (including 12 A*/A grades), Sam Cross 11 GCSE A*-C passes (all 11 with A*/A grades and Erin Licursi with 17.5 GCSE A*-C passes (including 11 A*/A grades).